• Target light output minimum 6000 lux measured at 1 meter for a 12-hour shift. • 4 push buttons – 1 push button to control the light, 1push button to control OLED display and 2 side push buttons to initiate emergency assistance request. providing clear warning when recharge is required. 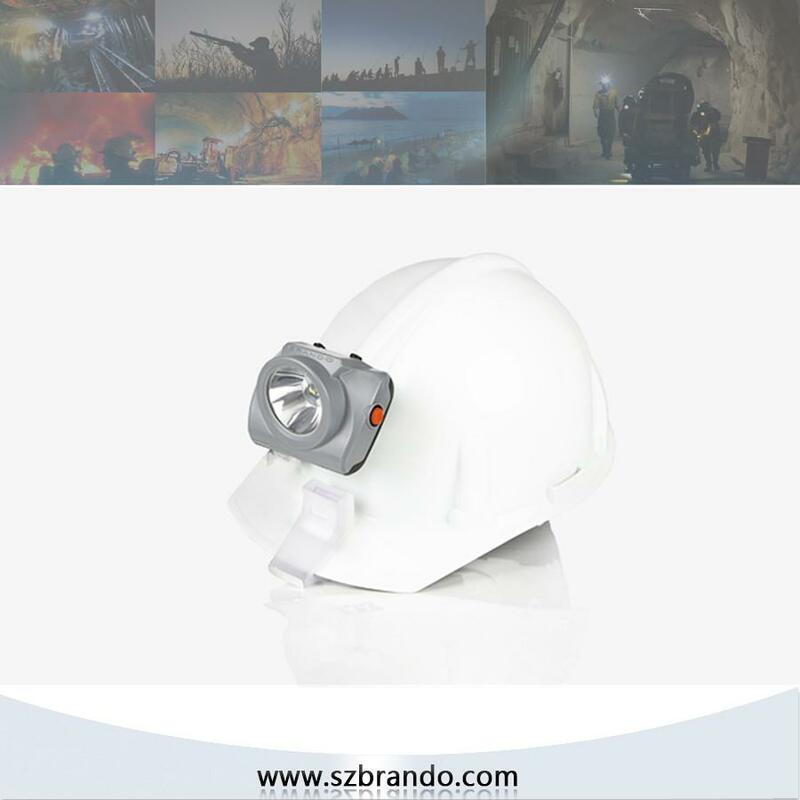 The BRANDO cordless cap lamp is a mobile miner’s safety lamp. The device is attached to a safety helmet, designed to accommodate front mounted attachments, and its power source, battery and housing, is integreted into the cap lamp housing. 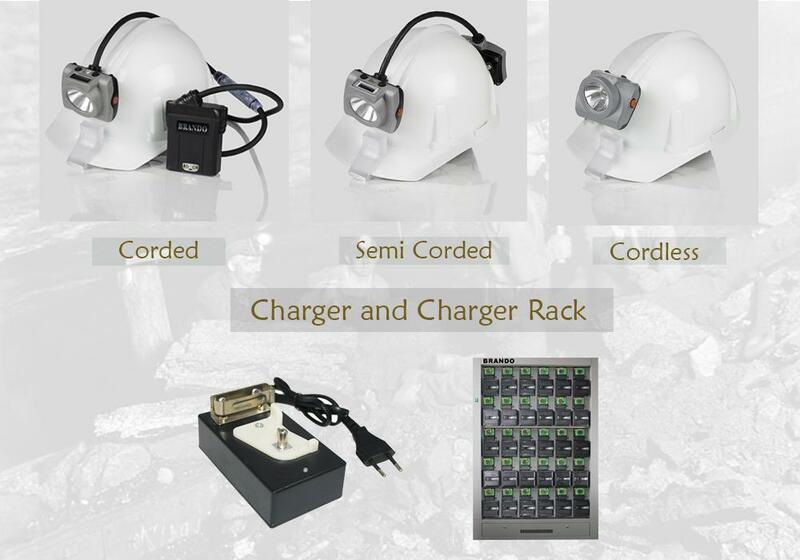 The device is primarily designed for underground mining activities and emergency services. This product supports life and health in an underground environment. • Device shall be operated by qualified personnel. • Before each use, check the functionality of the device. • Be aware of the procedures for handling electrostatically sensitive electronics, which include BRANDO cap lamps. • This device contains electrostatically sensitive components. Do not open or repair the device without using appropriate electrostatic protection. • Be aware of the warranty regulations. • Do not charge in hazardous areas. • Charge only with approved charging devices.